and you've just donated $10.00 to the Cancer Foundation. 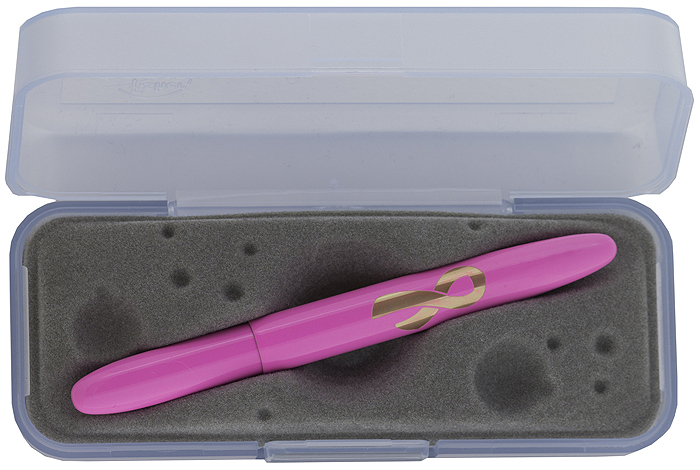 Traditional Pink with a laser engraved Breast Cancer Awareness Ribbon. AND have a net order over $60.00! Entire $10.00 goes towards the fight against Breast Cancer! Once your order is placed we cannot add this item. you will still be charged for your Donation. but only one pen will be included with each qualifying order.